Recently, there have been tremendous developments in material science and its growth technologies of nanoscale materials, which turn out to show new characteristic features distinctly different from those of its bulk counterparts. However, in contrast to the rapid growth of fabrication techniques, the progress in analytical techniques for such nanoscale materials has been deliberately slow. In order to characterize the local properties of the material, particularly with nanoscale heterogeneity, the spatial resolution has to go beyond the scale of heterogeneous distribution in the nanoscale. Tip-enhanced nanospectroscopy has been recently recognized as one of the promising analytical tools that can access local properties of the materials both through topographic and chemical contrasts. This is based on the fact that tip-enhanced nanospectroscopy is the synergy of the virtues of both scanning probe microscopy (SPM) and optical spectroscopy. In this sense, the high spatial resolution beyond the diffraction limit of light can be determined by SPM while the high chemical contrast is provided by a variety of optical spectroscopies. So far, numerous tip-enhanced nanospectroscopy techniques, such as fluorescence, two-photon excited fluorescence, infrared absorption, Raman, and nonlinear Raman spectroscopy have been reported and certainly, more spectroscopic techniques will be implemented for tip-enhancement in the near future. Among the various tip-enhanced nanospectroscopic techniques, tip-enhanced Raman spectroscopy is the first reported and the most developed spectroscopy and it is now recognized as TERS because of the analogy with the well-known surface enhanced Raman spectroscopy (SERS). However, there has been a big barrier to break down the spatial resolution limit of 10 nm in TERS imaging. Moreover, since TERS has been initially developed primarily by the optics/photonics researchers, it works only in an ambient condition limiting the number of applicable materials. In order to make TERS a promising analytical tool for material science in the nanoscale, it is essential to break the barriers of both the spatial resolution and the working environment. In this presentation, we will introduce the history of TERS development and the recent challenges toward an ultimate spatial resolution in the multi-environmental systems. Norihiko Hayazawa is a Senior Research Scientist at RIKEN and is an expert on near-field and nonlinear optics, spectroscopy, coherent quantum control, scanning probe microscopy, nanophotonics, and carbon nanomaterials. He is an Adjunct Associate Professor at the School of Materials and Chemical Technology of the Tokyo Institute of Technology and a Visiting Professor at the National Institute of Physics of the University of the Philippines Diliman. He obtained his PhD in Applied Physics from Osaka University in 2001. From 2002 to 2004 he was a postdoctoral research fellow of the Japan Science and Technology Agency CREST Program. N. Hayazawa. 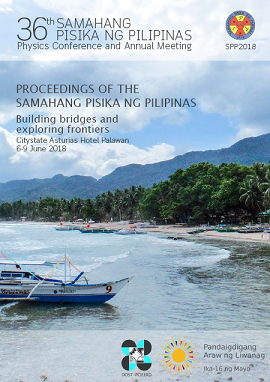 Tip-enhanced nanospectroscopy beyond ambient, Proceedings of the Samahang Pisika ng Pilipinas 36, SPP-2018-INV-2A-03 (2018). URL: https://paperview.spp-online.org/proceedings/article/view/SPP-2018-INV-2A-03.